Renowned director Howard Hawks once said that a good movie was made of "Three great scenes. No bad scenes." That might be a slight understatement, but fantastic moments are crucial for any great film. After all, when we remember our favorite movies, we talk about the amazing sequences that stay in our brains, like Indiana Jones running from a boulder or Rocky Balboa jogging up a flight of stairs. They're just so perfect that it's impossible to imagine the movie without them. However, just because a scene feels like it was meant to be, that doesn't mean it was always guaranteed to make the final cut. Making a movie is a tricky business, and sometimes an awesome sequence gets dropped from the script or removed in the editing room. In fact, there are quite a few incredible movie moments that almost never saw a theater screen. From dining dogs to exciting chases, here are some now-famous scenes that were almost cut from the movie. Gremlins is one of the best Christmas movies ever made. It's the perfect blend of chaos and holiday cheer, with way more murder than Miracle on 34th Street and It's a Wonderful Life combined. When our teenage hero, Billy Peltzer (Zach Galligan), breaks some very strict rules about pet care, he accidentally unleashes an army of mischievous gremlins. These nasty little critters swarm a Santa Claus, crush a married couple with a snowplow, and launch an old lady out a window. But while the gremlins love picking off the population of Kingston Falls, their scenes are nowhere near as dark as one truly macabre Christmas speech. After escaping a bar full of monsters, Billy and Kate (Phoebe Cates) manage to find some gremlin-free shelter. But the momentary pause in the action gives Kate a chance to reminisce about the holidays. She recalls how, years ago, her father went missing right around Christmas. Things get even worse when Kate reveals how she found him a few days later…dead…dressed as Santa…stuck in the chimney. It's definitely the grimmest moment in the film, one that director Joe Dante thought "encapsulated the tone of [the] movie." He also thought it gave Cates a chance to actually do some acting in a film where she's largely underserved. But the folks at Warner Bros. weren't really feeling it. According to Dante, the studio wanted to cut the scene because they didn't know "whether to laugh or cry." When Dante refused to scrap the speech, Warner Bros. asked executive producer Steven Spielberg to intervene, but after talking to Dante, he told Warner Bros. to keep it in. After all, directors gotta stick together. RoboCop is not for the faint of heart. Directed by Paul Verhoeven, this 1987 sci-fi flick is a dark satire drenched in gore. The plot follows a murdered cop who's resurrected as a cyborg and tasked with protecting the dystopian streets of Detroit. Along the way, a lot of people get killed in incredibly brutal ways, and some of those deaths were a bit too much for the Motion Picture Association of America (MPAA) — the board was ready to slap the film with the dreaded "X" rating, ensuring it would die a violent death at the box office. 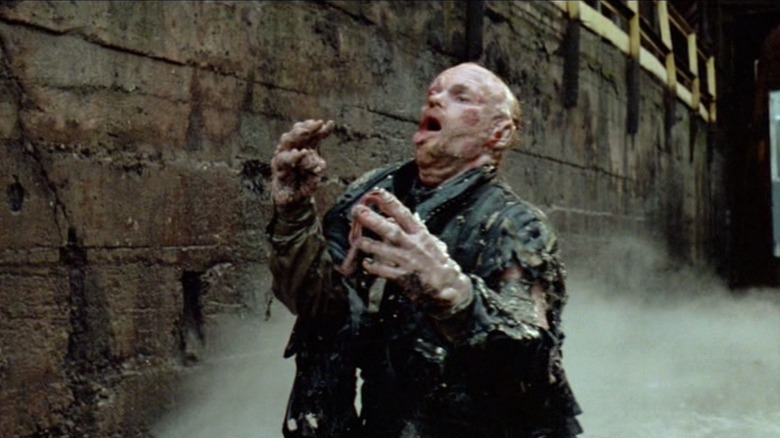 Verhoeven was forced to do a bit of editing, but while the Dutch director was willing to trim a few seconds here or there, he refused to touch the moment when a car plows straight into a deformed thug (Paul McCrane). To set the scene, RoboCop is facing a group of gangsters inside a steel mill. When one of the crooks tries to run him down with a delivery van, RoboCop steps out of the way, like a matador evading a bull. But before the thug can hit the brakes, the bad guy crashes into a vat of toxic waste, which morphs the dude into a messed-up mutant. Seconds later, a car plows straight into the toxic waste thug, and the guy erupts in an explosion of guts and goo. The MPAA freaked out when they saw this and demanded Verhoeven get busy with his scissors. But the studio behind the film, Orion, backed their director. Why? Well, the scene did gangbusters with a test audience. Movies are full of big romantic gestures, but none have topped the boombox scene from Say Anything…, the 1989 film written and directed by Cameron Crowe. This rom-com follows kickboxing everyman Lloyd Dobler (John Cusack), an earnest dude who doesn't want to sell anything, buy anything, or process anything. But what he does want is Diane Court (Ione Skye), a sweet valedictorian with a father who's not exactly crazy about Lloyd. In fact, her stuck-up dad encourages Diane to break up with the poor guy, but the kickboxer isn't giving up without a fight. 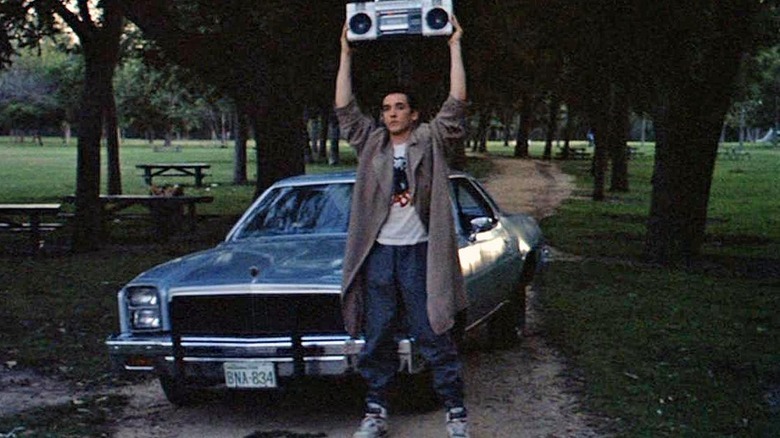 In the film's most famous scene, Lloyd stands outside Diane's window, holding a boombox in the air and blasting "In Your Eyes" by Peter Gabriel. The moment has been referenced in everything from South Park to Deadpool 2, but it was almost scrapped from the film because of Cusack himself. "John felt that Lloyd was kowtowing too much by holding up the boombox," Cameron Crowe told Entertainment Weekly (via The Uncool), "and that it was too subservient a move." Cusack held out for a long time, but the two agreed for Dobler to have a look of defiance on his face, so he wouldn't look like he was begging — according to Mental Floss, Cusack described the scene as Lloyd's "final stand." This new take on the character helped Cusack blast that Peter Gabriel song at full volume, although he was originally playing "Turn the Other Way" by Fishbone. Thank goodness for post-production miracles. Sure, Looper is only rated PG-13, but this time travel film features a death scene more disturbing than anything you'll find in an R-rated slasher. That's right: we're talking about Old Seth's death by timey-wimey amputation. In the world of Looper, there are two Seths, and both are in serious trouble. Young Seth (Paul Dano) is hitman for the mob, a guy who specializes in killing victims sent back from the future. He's what's known as a "looper," and at a certain point, he has to "close the loop" by killing his future self. But Old Seth (Frank Brennan) isn't so crazy about the idea of getting thrown back in time only to wind up with a gun in his face, so he goes on the run, desperate to live a bit longer. However, that seriously backfires when the mob kidnaps Young Seth and begins surgically removing bits of the younger man's body. As they cut a finger here and a foot there, Old Seth begins to disappear, bit by bit. As his tongue and arms are amputated, he frantically tries to find the mobsters hacking his younger self to pieces, and when he finally does, he gets a bullet in his brain. It's a gut-punch of a sequence, one that shows what the mob is capable of doing, the paradoxes of time travel, and what might happen to Joseph Gordon-Levitt's character when his older self (Bruce Willis) escapes. But the film's editor, Bob Ducsay, actually thought director Rian Johnson should get rid of the scene. On the movie's commentary track, Johnson says that Ducsay was concerned the sequence was a "narrative cul-de-sac," distracting from the film's main story. Fortunately, the director stuck to his guns and refused to, ahem, cut the scene. Prometheus was a pretty controversial movie when it burst into theaters back in 2012. While film critics like Roger Ebert were enamored with its otherworldly mystery, others were baffled by all the movie's plot holes and unanswered questions. But whether you loved or hated this bizarre quasi-prequel, we can all agree that surgery scene with Noomi Rapace and her octopus offspring is one of the best moments in the Alien franchise. After getting impregnated through a freaky process involving an android and black alien goo, archaeologist Elizabeth Shaw (Rapace) is a tad concerned about her new "baby," so she undergoes a C-section inside a futuristic medical pod. As Shaw screams in fear and pain, the machine slowly removes a disgusting squid creature, one that possesses some creepy tentacles, sharp teeth, and a really bad attitude. 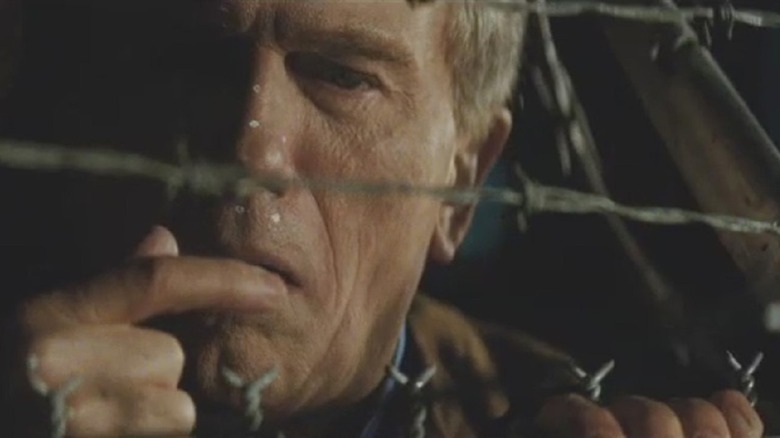 It's an incredibly tense scene — the kind you've got to watch, but you have to look through your fingers. If the MPAA had gotten its way, the whole sequence might've been ripped out of the movie — the ratings board demanded that director Ridley Scott take it out in order to secure a PG-13 rating. Fortunately for horror fans, Scott and 20th Century Fox chief Tom Rothman refused to give in — and took the less lucrative R rating — because they knew the scene was just too awesome. The Marvel Cinematic Universe certainly knows how to crank out satisfying hit after satisfying hit. But much like the Avengers themselves, sometimes the creative minds at Marvel find themselves thrown into civil war. For example, there was in the infamous squabble involving Edgar Wright and Ant-Man, not to mention the showdown involving Patty Jenkins and Thor: The Dark World. 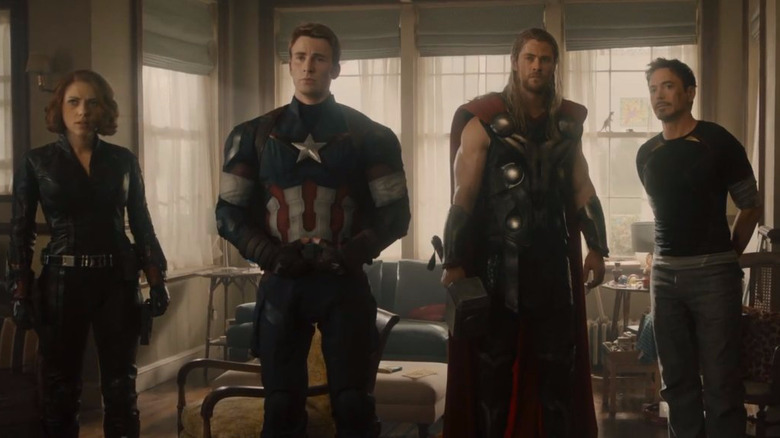 And then there was all the drama behind Avengers: Age of Ultron. To say that director Joss Whedon had a difficult time making this movie would akin to saying the Hulk gets a little cranky sometimes. Making Age of Ultron was a miserable experience for Whedon, who battled the Marvel suits over which scenes to keep or toss. They constantly told him to change the scene in which Thor goes into a cave searching for the truth of the Infinity Stones. It got so frustrating that, at one point, Whedon considered cutting the scene entirely. But Marvel was determined to keep that Infinity Stone action, so they allegedly resorted to a bit of blackmail. As Whedon explained on Empire's podcast, Marvel executives said they'd get rid of the scenes at Hawkeye's farmhouse if he didn't keep the cave. The studio also wanted Whedon to cut all the scenes showing the Avengers — under the influence of the Scarlet Witch — experiencing some pretty trippy dreams. Eventually, Whedon and Marvel managed to squeeze all these sequences into the film, but as a result, they produced one of the messier entries in the Marvel franchise. If you want to start your musical the right way, then you need a larger-than-life song-and-dance number. West Side Story has the Jets and Sharks battling for turf, The Sound of Music begins with that iconic helicopter shot, and then there's La La Land, the 2016 movie depicting 150 dancers weaving in and out of cars on an actual L.A. freeway ramp. The "Another Day of Sun" sequence has everything you'd want in a movie musical: vivid colors, impressive choreography, a salsa band, a breakdancer, and a dude on a skateboard. It's big, it's bold, and it puts you in the hopeful headspace of its two heroes, Mia (Emma Stone) and Sebastian (Ryan Gosling). It was also almost completely cut out of the film. In the version we all saw in theaters, La La Land opens with "Another Day of Sun" before introducing us to our lead characters. However, speaking with CinemaBlend, director Damien Chazelle explained the movie was originally structured quite differently. There would be an overture, then we'd meet Mia and Sebastian, and that's where "Another Day of Sun" would kick in…before circling back to Mia and Sebastian again. Chazelle felt it was all too much and a bit redundant, so he dropped the dance scene and went straight from the overture to Gosling and Stone. But eventually, Chazelle realized "the movie ultimately didn't work without ["Another Day of Sun"], because you need to announce that you're a musical off the bat." And if La La Land didn't have that song, then "every other musical number suddenly felt very different and very fake. Because you need to kind of announce the full maximum potential of the 'musicalness' of the movie in order for the rest of the stuff to feel natural." Chazelle put the scene back in, restructured the opening, and created a charming scene that got us smiling before the movie eventually broke our hearts. 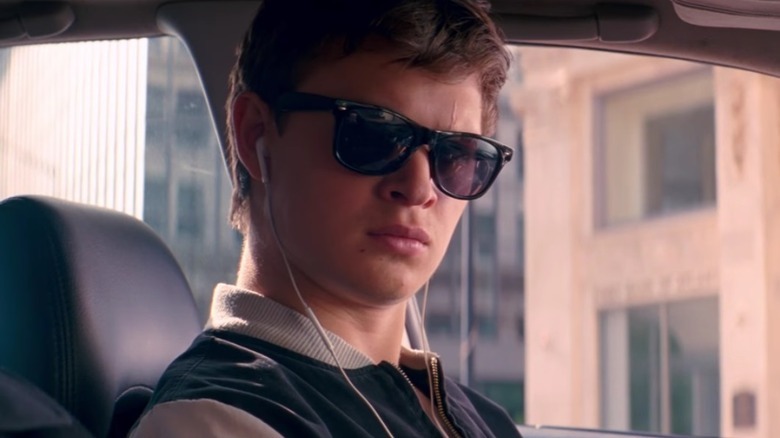 With its car chases and gunfights set to catchy pop songs, Baby Driver is basically an action-musical. We've described it as "Heat, The Driver, and Singin' in the Rain all mashed up into one glorious movie," but while we're crazy about that "Brighton Rock" showdown, and we love that "Bellbottoms" bank robbery, it's kind of hard to top the "Focus" foot chase for pure white-knuckle thrills. 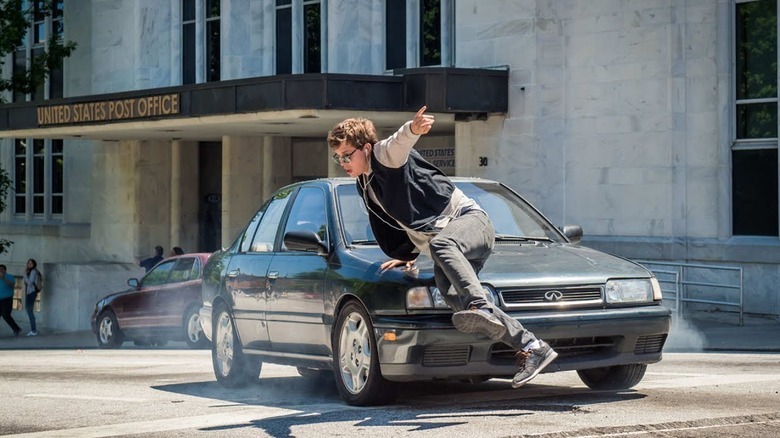 After a post office heist gone wrong, our music-loving escape driver, Baby (Ansel Elgort), sabotages the getaway by serving some much-deserved justice to a psychopathic killer. But after beating a bad guy, Baby finds himself without a car and surrounded by cops. Desperate, he takes off on foot, leading the police on a chase through Atlanta, accompanied by the yodeling madness of Hocus Pocus. It's one of the best set pieces in the film, but as director Edgar Wright explained on Twitter, he was asked to "cut down the two shooting days that formed the bulk of this footchase [sic]." Wright loved the scene too much to see it go, so, as he told Rolling Stone, "I had to use my own money to pay for two extra days of shooting so we could get it — and it's my favorite bit in the film." If you're worried about Wright's pocketbook, there's no need to fear, as the dedicated director was eventually paid back. Anyone who was aware of pop culture in 2013 will always remember it as being the year of "Let It Go." This big and brassy Disney song was everywhere, but it wasn't the only hit number from Frozen. 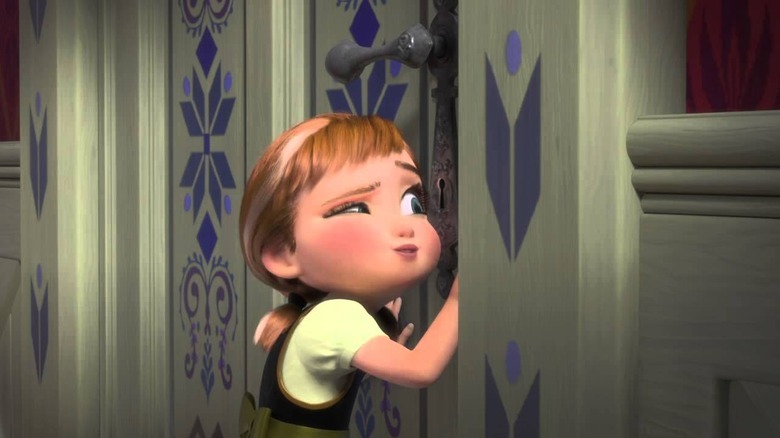 Perhaps the second most popular song from the animated film was "Do You Want to Build a Snowman?," a bittersweet ballad that finds Princess Anna trying her best to get the frightened Princess Elsa to step outside her room. Despite the cheerful music, it's kind of a sad song — and as it turns out, the first couple versions were even more depressing. Speaking on the Scriptnotes podcast, writer/director Jennifer Lee explained that the original song totally bummed everybody out. On top of that, it contained way too much expository dialogue, and the whole thing was kind of unwieldy. The filmmakers decided to pass on building any snowmen, but once the scene was cut, people at Disney began emailing one another, wondering where the song had gone. After going back to the drawing board, a new-and-improved version of the song made its way into the movie and into our eardrums. Since the moment Steamboat Willie sailed into theaters in 1928, Disney has been busy creating some of Hollywood's most extraordinary movie scenes. There's the "Circle of Life" sequence from The Lion King, the ballroom dance from Beauty and the Beast, and the "Heigh-Ho" number from Snow White and the Seven Dwarves. 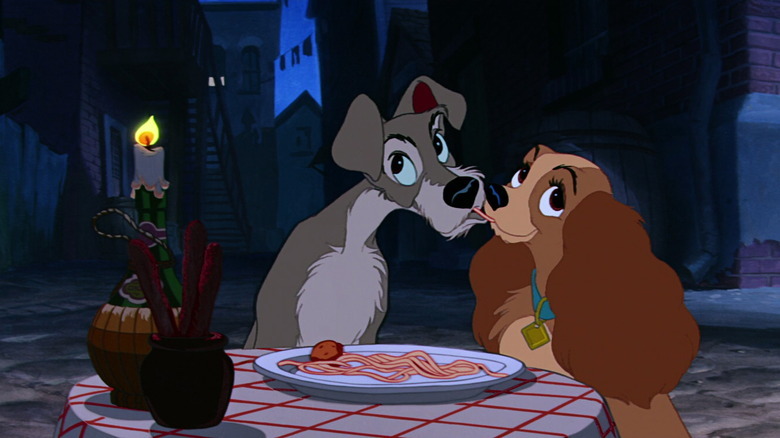 But memorable moments don't get any more classic than the spaghetti scene from Lady and the Tramp. We all know the setup. It's two adorable dogs — an elegant but timid cocker spaniel and a roguish mutt from the wrong side of the tracks — on one of cinema's most adorable dates. After a day of footloose and collar-free fun, the two wind up at a charming Italian restaurant where they enjoy a spaghetti dinner, complete with candles and a musically talented waitstaff. But while this is the scene, and it's a beautiful scene, it almost didn't make it into theaters. Who would oppose such a lovely sequence, you might ask? None other than Walt Disney himself, who just wasn't crazy about the idea of two pups sharing some pasta. Speaking with Yahoo! Movies, Steven Vagnini — curator for D23, the official Disney fan club — explained, "Walt wasn't convinced that that would be a very clean-cut scene. As you can imagine, if you have two pets, and they eat a plate of spaghetti, it's hard to envision that being too graceful." Fortunately, animator Frank Thomas whipped up a quick version of the scene and managed to impress Disney, who gave the go-ahead for one of the most romantic moments to ever come out of Hollywood.